"Children in first grade will be expected to build upon the skills learned in kindergarten. Mathematics (addition and subtraction) will be taken a step further. Your child will also be expected to make more progress toward more independent reading and to display some fundamental signs of good writing skills. This is an important time because children are still really learning the basic skills of reading, writing, and mathematics, so now is not the time to “take off the training wheels” so to speak. By that I mean that even though your child may feel more comfortable and confident about going to school, he or she still needs your guidance and oversight." My child reads regularly on his or her own for at least fifteen minutes per day and understands what he or she reads. My child can comprehend and complete simple word problems requiring addition and/or subtraction. For example: “John walked two blocks to get to the store and one block to his friend’s house. How many blocks did he walk in total?” Answer: John walked three blocks. 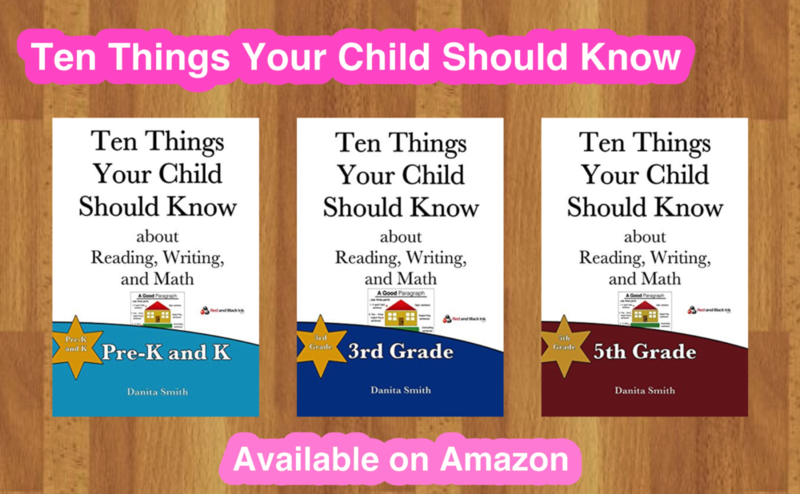 Our book, Ten Things Your Child Should Know about Reading, Writing and Math: 1st Grade, offers lists of skills and activities you can do with your child to support him or her in this grade.